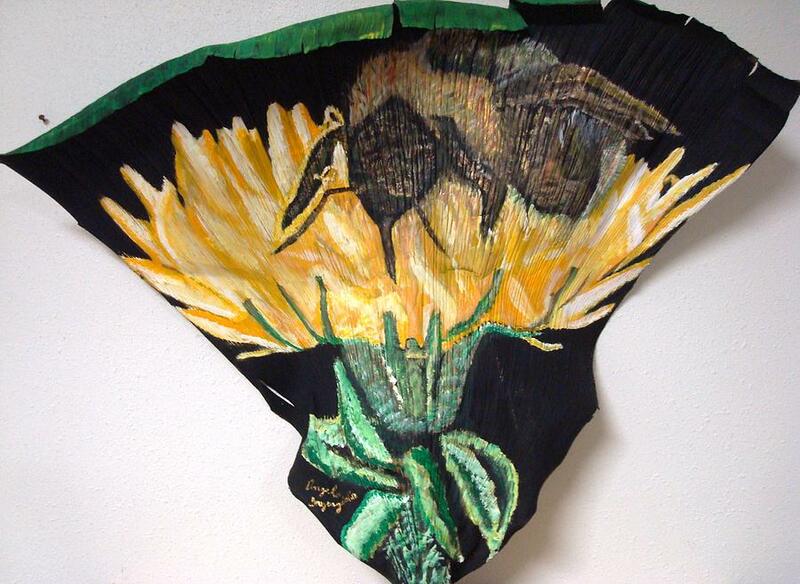 Honey Bee On Flower is a painting by Angelo Ingargiola which was uploaded on January 14th, 2010. This is a vibrantly colorful image painted on a palm frong. The colors are very deep and stand out on this natural element. Its done in the mind set of using acrylic paints on a natural "green" surface. Perfect indoors and out it is a great compliment to any collection and a great conversation piece!! There are no comments for Honey Bee On Flower. Click here to post the first comment.